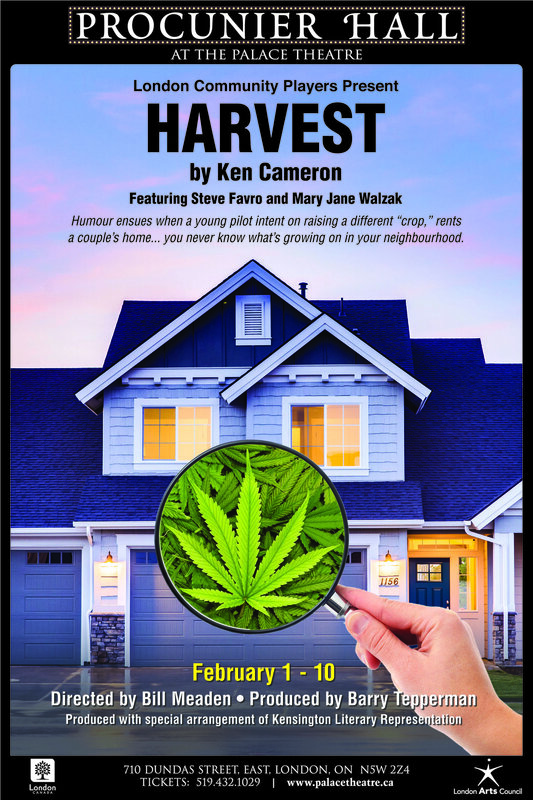 Based on the real-life experiences of the playwright’s parents, this comedy, Harvest tells the story of Allan and Charlotte, farmers who trade their life in the country for a condo in the city. When they rent their farmhouse to a young pilot intent on raising a different “crop,” they begin a journey filled with an assortment of unforgettable characters all played by the same two talented actors. 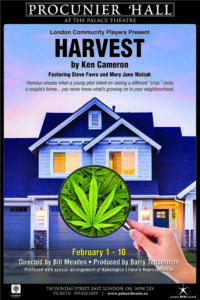 Harvest has been produced across Canada from British Columbia to the Atlantic Provinces but will be the first production in London where Allister and Carolyn Cameron, the real Allan and Charlotte, live.